Carrara is renowned for its precious white marble, that is extracted in the nearby Apuan Alps. The city historical center has several monuments and important buildings and churches deserving to be visited. Among the most important there is the Cathedral of Sant'Andrea in Piazza Duomo, that has a particular trapezium shape. Close to it there is the palace where Michalngelo Buonarroti lived. The province of Carrara comes together with Massa and includes part of beautiful Lunigiana. Some of the most famous cities are Pontremoli and Fivizzano. Design hotel in Carrara. Located close to both the seaside and the Apuan Alps, it offers modern rooms decorated with art pieces and equipped with air-conditioning and free Wi-Fi. The hotel has a nice panoramic terrace. This camping offers air conditioned bungalows with private bathroom, kitchenette and patio for eating al fresco. Close to Carrara and Forte dei Marmi, there are many services available, like animation for adults and playing area for children. 3 star hotel in Marina di Massa, located just a short stroll from the seaside. It offers several facilities such as a large outdoor pool. Rooms are comfortable and have a balcony. 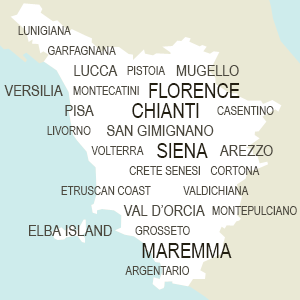 The province of Carrara is the last province in Tuscany before arriving in Liguria. It's a borderland between Tuscany, Liguria and Emilia Romagna. In fact you can note that people from Carrara don't speak a proper Tuscan language, but they have the typical accent from Emilia.